Steve Aoki's recent hit song "Just Hold On" with Louis Tomlinson (from One Direction), has been on repeat on my playlist. Steve Aoki has been a regular on my playlist, and yes dance music helps me think and write, as well as workout, cook and clean faster, and walk faster to the subway. I honestly, have never seen him played live. I don't really like those dance concerts in the park, I think I'm too old for that anyways. BUT when I saw he's showing his DIM MAK Collection at Men's NYFW, I knew I had to see it. In 2014, DJ and music executive Steve Aoki launched DIM MAK Collection (DMC). The brand is inspired by indie rock sounds, skate culture and his fellow risk takers and rebels. "An elevated streetwear brand run on attitude and adrenaline." Graphics and artwork from the collection were in collaboration with David Choe (painter, muralist, graffiti artist and graphic novelist). There are 20 looks in the collection and these are just some of the looks from the show. This streetwear style may not be everybody's cup of tea but I did find a unicorn amidst of all the skaters that I'd wear! 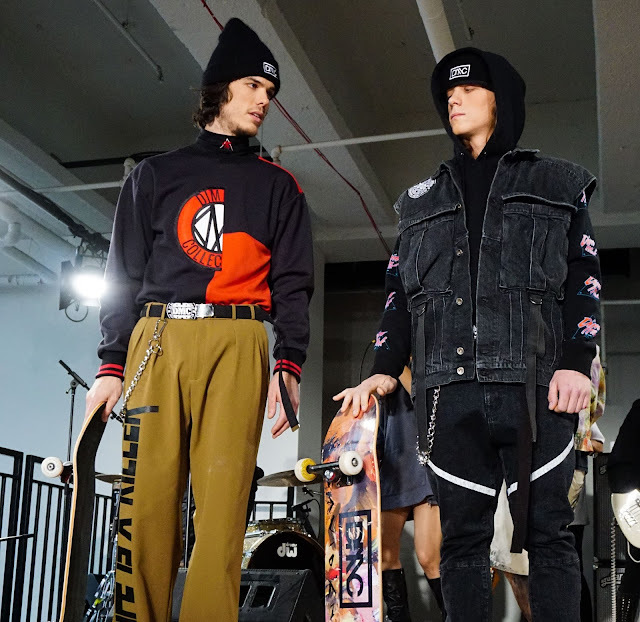 I went to this show expecting a presentation and not skate ramps in the middle of the room as their runway. It definitely was one of the most unique shows I've attended. 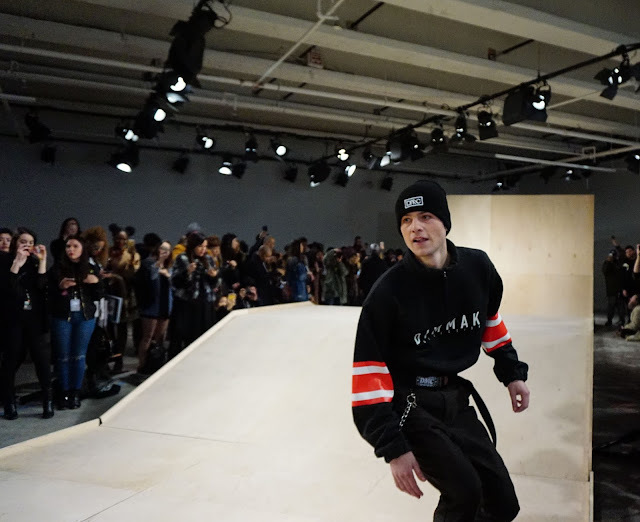 I also read somewhere that the "models" at the show were real skaters. I wasn't expecting to take pictures of models on skateboards and so some of the pictures are not as sharp and clear as I like. 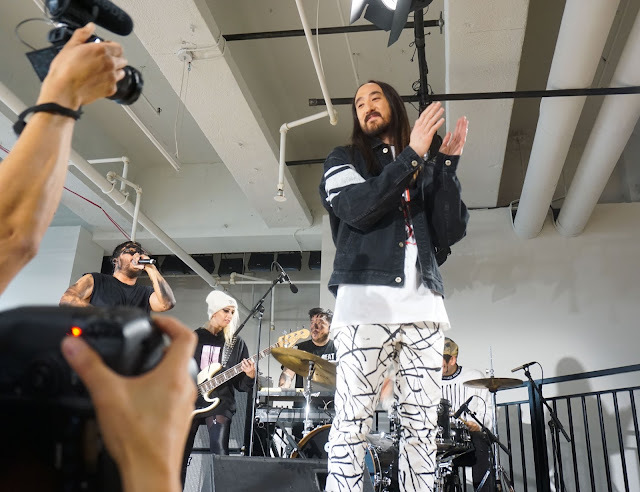 I still wanted to share them with you because it shows the vision DJ and music executive, Steve Aoki had in mind for his Fall/Winter 2017 NYFW show.